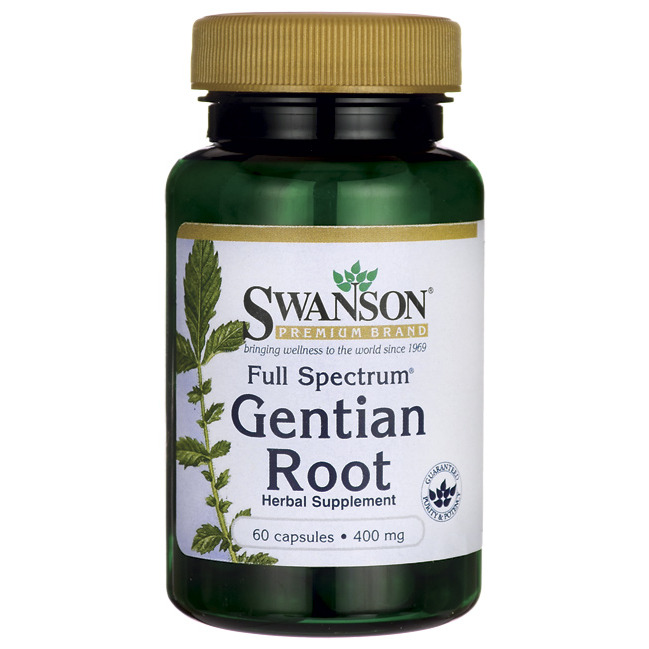 Swanson Full Spectrum Gentian Root is an herbal supplement that historically has been used to support healthy digestion and healthy appetite. It is a bitter tasting herb whose use dates back to traditional Chinese medicine. In traditional European herbology, gentian and other bitter herbs are believed to support the digestive system when taken over a period of time. However, in Chinese medicine, gentian is regarded as a rather intense herb that should not be taken over the long-term. WARNING: Do not take this product if you are pregnant, nursing or if you have or have had ulcers.